Aaron was born to Jack and Penelope Murdoch, a cattle station manager & his wife who worked as a hotel manager in the local town of Birdsville in Western Queensland on the edge of the Simpson desert and on the border of South Australia & Queensland. When he was five, his parents told him that he would be getting a little sister, who was named Jenny when she was born. He loved her and protected her. His childhood was quite different to most, but his parents made sure he did well. He grew up around animals, and quickly became very good with horses. 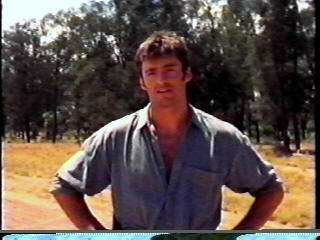 Growing up in the Outback gave him a unique perspective on life and made him very independent. He did pretty good in primary school, where he studied with the School of the Air using a virtual classroom. When he finished primary school, his parents decided that it would be best for him to attend a private boarding school in Brisbane, and he entered Brisbane Boy's Grammar on Gregory Terrace, Brisbane. He quickly fitted in, and enjoyed his time there. When he finished high school, he began doing a Bachelor of Engineering/Science(Physics) at The University of Queensland at St Lucia, where he graduated with first class honours in both. His honours thesis was on zero-point energy and theoretical applications in starships. After his degree, he was approached by Starfleet's Advanced Starship Design Bureau to work as a civilian contractor due to his thesis. He headed over to the United States where he worked for three years before he decided to sign up officially to Starfleet. During this time, he worked extensively on what became the Sovereign-class design, and helped create the quantum torpedo. He entered the Academy as an Engineering cadet in 2371. Although he was older by now to the other cadets, he did very well and shortly after, he graduated in 2375. His first station was aboard the USS Mercadon, where he spent two very happy years under Lt Commander Mary McKillop. During this time, he learnt a lot about jury-rigging and how to keep a ship going when he was assigned to work in Damage Repair. He had a natural instinct for getting things fixed. Leaving the Mercadon when he recieved a promotion to Lieutenant Junior-Grade, he moved onto the USS Pegasus. Two years later, he was promoted to Lieutenant and Assistant Chief Engineer. In 2381, he moved on again with a promotion to Lieutenant Commander and Chief Engineer of the USS Epsilon. He received an unusual request in 2382 when Aaron was personally selected by Admiral Jackson Hills to help build the Hade's Rage, and accepted, moving to Tartarus Station. Rumours abound that Aaron examined nearly every component used to make sure it was the best available and that he knows when every bulkhead, corridor and conduit in the ship was put in - both of which he has neither denied or admitted to. Once the ship was completed, Jackson appointed him Chief Engineer to lead the Engineering department of the Hade's Rage, and is one of the few crew apart from the captain who isn't there on their last legs in Starfleet. He treats the ship like his own child. Aaron is quite tall with short dark brown hair. He often is found with stubble, since he tends to get quite devoted to his work and to him, shaving isn't really a priority. Aaron tends to be quite obsessive and devoted to look after the ship, one reason why Jackson Hills selected him. 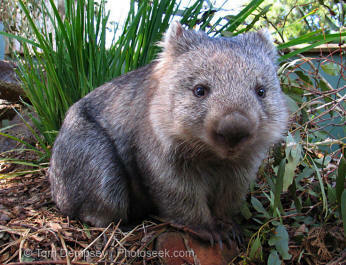 He has a pet wombat that is named Fatso, which waddles around Main Engineering most of the day while Aaron is on duty. Aaron is currently building a vintage Australian motorcycle, the Invincible JAP from the early 1920's, from diagrams and schematics. Most of the time, he has to fashion his own parts, which he enjoys. He is preferring not to just use replicated parts. Aaron carries around a Swiss Army knife of the Ranger variant or Handyman variants in his boot, and a roll of duct tape & chewing gum for quick repairs.